Well, this is a random post. I often peruse the Reddit fly fishing group and have learned a lot from it. The moderators are pretty serious competition anglers, and they’re very approachable. 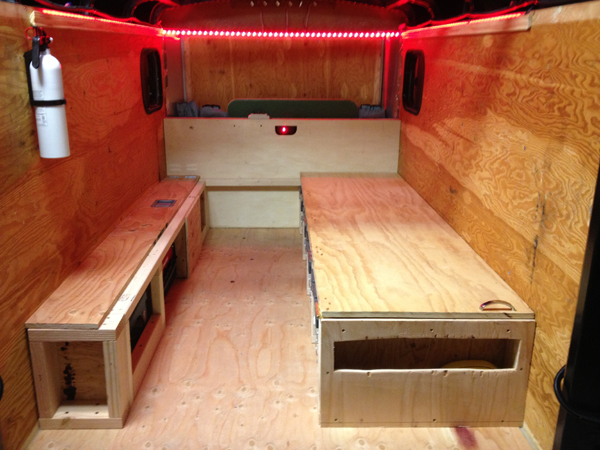 Recently, someone posted a new project that they’re undertaking: customizing a trailer for sleep-away fishing trips. He provided a link to a prior example, and it’s pretty cool. Somebody stripped down the trailer, insulated it, and installed a customized sleeping-and-storage area on the inside. On another note, am not fishing much right now, as I await the snowstorms to abate. I did manage to get out twice before the first storm hit. It was great to be outside. That first rainbow at the top is just beautiful. I have never seen one colored up like that. I wonder if it is a wild stream born trout? Hard to know. Let's hope so!